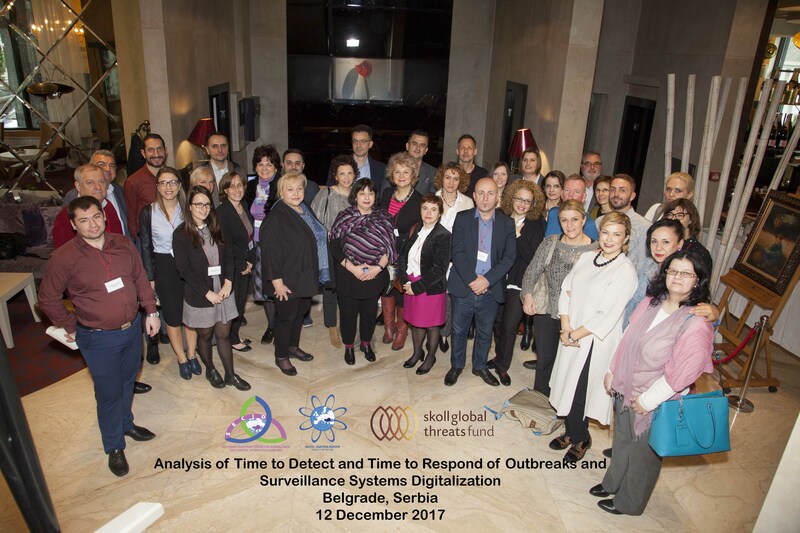 The aim of the workshop was to present the timeliness of detection and response analysis of selected diseases and their outbreaks in SEE countries and the challenges faced during process related to digitalization and organization of surveillance systems. Discuss the challenges of data sharing among cross sectorial and cross border areas during data analyses and how digitalization may address some of them. Participants of the meeting were epidemiologists, public health and information and technology managers and specialists and representatives from universities of Albania, Bosnia and Herzegovina, Bulgaria, Croatia, Macedonia, Montenegro, Serbia, and Kosovo*, representatives from SGTF, WHO Country Office, WHO EURO, CORDS, SECID-SEEHN, and some European public health institutes.